Quality sleep is extremely important in the physiological, cognitive, and emotional development of children. At different stages of a child's development sleep needs change. In order to help children get as much quality sleep as possible, parents should have a strong understanding of the sleep requirements necessary for their children at various stages in their lives. One study found that approximately 27% of children are sleeping less than is recommended for their age. Sleep debt in children can lead to an array of consequences including inattention, irritability, hyperactivity, impulse control problems, behavioral issues at home and school, learning troubles, and overall quality of life. Poor sleep in children often leads to sleep troubles for the parents as well. When children frequently wake in the middle of the night unable to go back to sleep, most parents respond by waking up themselves and helping soothe them back to sleep. Over time both the parents and the children can become sleep deprived. Of all the potential sleep disorders found in young children, Behavioral insomnia is the most frequently cited, surpassing other sleep disorders including breathing disorders like sleep apnea (1-3%), sleep related movement disorders such as restless leg syndrome (2-8%), and parasomnias such as night terrors (5-35%) [source]. While this article is based on making sure you get the right amount of sleep to help you perform at your best at work and home, it might be difficult for you to actually get the recommended amount. So just how much sleep do we need to stay alive? Scientists have tested how long humans can survive without air (about three minutes), how long a person can go without water (three days) and even how long someone can last without food (three weeks). New parents know all too well that bringing a child into the world also means that sleep goes out the window. But if you can recognize what your major sleep concerns are early on, you’ll be better equipped to handle them head on. Here are the most common sleep concerns and short term ways of coping with them. If you’ve just brought a newborn home, you’re probably preoccupied with sleep – both the baby’s and yours. 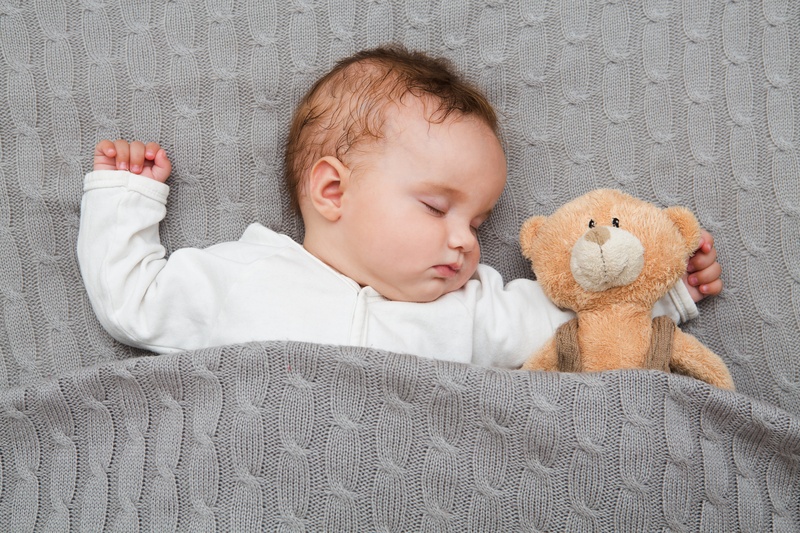 Establishing a sleep routine with your infant is a good way to instill good sleep habits. Here are a few suggestions for bedtime with your baby. Take note of your baby’s sleep trends. You don’t need to start a routine immediately; first, get to know your infant’s tendencies. Once you figure out when your infant sleeps for the longest chunk, begin a bedtime routine about 45 minutes before that. Establish a routine. Whether it’s saying goodnight to everyone and everything, singing a song, or taking a bath, incorporate 1-4 activites that can help your baby wind down and cues them that it’s time to relax. Cut back on caffeine. For you breastfeeding mom, consider going decaf while you’re breastfeeding; your baby will get a caffeine jolt otherwise. Remember, a baby who sleeps through the night is a wonderful thing, but a baby who has a tough time sleeping is not a reflection of your parenting! Go easy on yourself, and if you have any questions about your or your baby’s sleep don’t hesitate to call us.